Social media represents the convergence of information and communication, and with more people both communicating through and consuming information on social media, we are seeing a true democratization of information. While some still trust only the traditional media outlets, most of us are finding more and more resourceful information in the blogosphere and on social media itself. The recent growth of visual social networks like Instagram and Snapchat has launched a new generation of influencers that are distinctly unique form their blogger, YouTuber, or even Twitter predecessors. On the other hand, with social media becoming more and more a pay to play medium, businesses everywhere are trying to figure out how to scale their digital media in a more effective way. More and more businesses are realizing the value in what I have been calling "Leveraging the Other," or leveraging other social media users such as employees, brand advocates, or influencers to help push their social agenda forward. Of these latest digital relationship marketing trends, nothing is more on the top of mind of executives, marketers, and other professionals than tapping into the influencer marketing ecosystem. But how to begin, or become more efficient, at engaging with influencers? How can marketers connect with the right people and increase product awareness by 10x? How do agencies make influencer marketing a core component of their client budgets and still get an ROI? Who are these influencers and where can business owners or executives find them? Better yet, how do they connect with them in way that fosters long-term mutual growth and reach millions of relevant people in the process? Dale Carnegie wrote the manual on how to win friends and influence people, Robert B. Cialdini taught us that skills of persuasion lead to influence, and Mark Schaefer taught us how to leverage the ever-growing power of mega-bloggers and celebrities online. These ideas have withstood the tests of time and have taught millions of people how to become more relatable and gain real influence. In The Business of Influence, Neal Schaffer explains why the digital era is now the influencer era, and how it now plays a significant role in spreading a message online. Readers will learn how to truly leverage influencers to share your message with millions of people for free, and how to rapidly expand your target audience around a single message or brand. The truth is, most businesses still don’t understand influencers, influencer marketing, or how these relationships truly work. This is not about asking bloggers and public figures to share your content. It’s about how to get real people with real influence to endorse and actively promote your product or business to a target audience. Neal Schaffer has been hired by several leading brands such as Microsoft and All Nippon Airways as an influencer. He also launched and managed influencer marketing campaigns on behalf of his agency clients. Neal is also a trusted and leading educator in the world of social media for business. No one is more qualified to help businesses leverage influencer marketing than Neal Schaffer, and this is the book that every business needs to read to plug-in to the influencer ecosystem. Today, everyone is a publisher, including businesses. And the rules of spreading a message to the masses have changed. This section describers why influencer marketing is trending upwards and which businesses are able to benefit from it the most. Influencer marketing must be a core component of your company's overall business objectives. In this section are case studies and real-world applications from those who are currently succeeding at it. In the end, your goal is to increase your own influence with specific target audience. This section is how businesses can leverage influencer marketing to spread their message to millions of people. These strategies are also applicable to personal brands and people within organizations. Chapter 7 - Buy influence or influence the influencer? To help brands and marketers make informed decisions about how to allocate valuable advertising resources, Neal Schaffer offers his unique experience working with top brands like Microsoft and All Nippon Airways, as well as small to medium size business. New research says that 86 percent of marketers used this strategy in the last year and most marketers are looking to double their investment in 2017. This is no surprise since audiences turn to social influencers more than ever to be entertained and informed. What does this say about the target audience for this book topic? Influencer Marketing touches upon the heart of Digital Marketing in today's mobile-first, social-first, and digital-first world. Every business, non-profit, and even government organization should be investing in Influencer Marketing by 2018 and will want to read this book. On the other hand, the growing number of "side hustling" millenials and professionals who are looking to cash in on the influencer marketing trend are obvious readers for this book. Finally, many business professionals and executives not related to the marketing function have heard the term "Influencer" without understanding its true meaning and significance in the business world. This book will help them decipher this new wold of influence marketing. Neal is backed by several of his business clients and industry partnerships. This book is for this audience of readers, coaches, clients and colleagues. 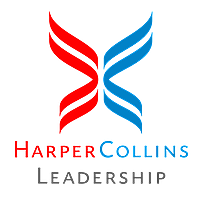 Neal's speaking engagements, influencer workshops, online videos and social media following are the main platforms with thousands of new and existing potential readers for this book. "Looking for a smart social media strategy? If so, look no further. Schaffer's Maximize Your Social provides a clear and effective road map that'll help your business thrive in an ever changing social world." "Maximize Your Social provides an awesome framework for creating a powerful presence on LinkedIn, Facebook, Twitter, Pinterest, and really ALL social media sites. You will love the pragmatic, step-by-step tactics as well as the comprehensive and creative strategies. Get this book today, not tomorrow!" "Neal Schaffer is the real deal. He's proven that social media can work for real business, and in Maximize Your Social, he provides the playbook. It's a logical, realistic, clear-eyed recipe for doing social right." "Maximize Your Social is straightforward, simple, and superb. Two 'Likeable' thumbs up!" "I've been working in social media for seven years, and there's just about nobody in the business that I'd feel comfortable leaving alone with a client but Neal Schaffer. He gets the business case, the strategy, and the tactics—enjoy this primer of straight-up social media advice." "Neal has been a social media leader for years. With this book, he takes all of us again to the bleeding edge of how to survive in today's world with a social strategy that actually works. This should sit on every CMO's bookshelf." Designed to get you out of a mental rut, give you new thoughts, new visions, new ambitions. Enable you to make friends quickly and easily. Increase your popularity. Help you to win people to your way of thinking. Increase your influence, your prestige, your ability to get things done. From Chris Widener, the author of the breakout bestseller The Angel Inside, comes an inspiring new parable on the power of influence. The Art of Influence will make you think twice about everything you've ever learned about influence. As Chris Widener’s inspiring story reveals, it’s not something you "do" to other people but rather something that starts with how you shape and transform your own life. Forget about manipulation and slick fast-talking; The Art of Influence teaches that your ability to influence others begins from within. By Dave Kerpen. Published by Crown Business (March 15, 2016). Dave teaches what it takes to win success and influence. Some people think that in today’s hyper-competitive world, it’s the tough, take-no-prisoners type who comes out on top. But in reality, argues New York Times bestselling author Dave Kerpen, it’s actually those with the best people skills who win the day. Those who build the right relationships. Those who truly understand and connect with their colleagues, their customers, their partners. Those who can teach, lead, and inspire. In a world where we are constantly connected, and social media has become the primary way we communicate, the key to getting ahead is being the person others like, respect, and trust. Because no matter who you are or what profession you're in, success is contingent less on what you can do for yourself, but on what other people are willing to do for you. 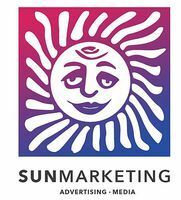 Sun Marketing has been publishing books and articles and consulting in Marketing since 1993. At Addicus Books, we are dedicated to producing high-quality nonfiction books. One of our areas of focus is consumer health titles, and we continue to develop our growing line of books. In addition to growing our line of health books, we are also developing other nonfiction lines. 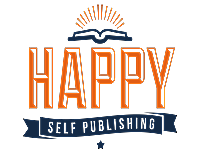 Next Century Publishing is a world leader in book publishing, book marketing, and providing authors with the best platforms for success. NCP is a cutting-edge publisher that refuses to accept the status quo. 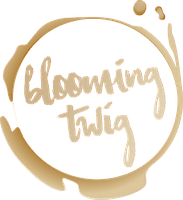 Our mission statement is to change the way people write, read and experience books! The game has changed, and today’s authors have more choices than ever. NCP utilizes the latest in social media and technology to increase readership, book sales, and bottom-line profits for its authors. 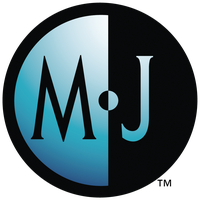 The company is truly unique in that both independent publishing and full-royalty publishing are offered under one label. NCP is already being recognized for its innovations in marketing, social media, and media awareness. 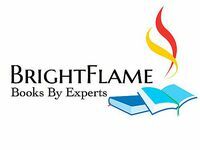 As a wholly owned subsidiary of http://ReadersLegacy.com, our authors benefit from added training and exposure on the publishing industries fastest growing community of avid readers, authors and publishers. 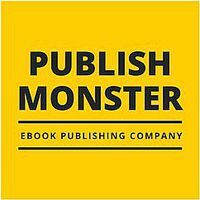 Next Century Publishing is also launching several web-based campaigns aimed at disrupting and reinventing the mammoth publishing world, while bringing greater value to our authors. 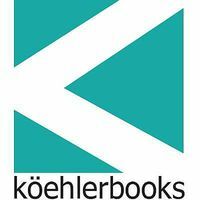 Publisher from Switzerland that offers publishing services in the german speaking markets. Greetings from inside a bullet train in-between Kyoto and Tokyo Japan! on Oct. 18, 2017, 6:09 p.m. Awesome news Neal, I look forward to this one. Your friend Rob! on Oct. 18, 2017, 6:10 p.m.
on Oct. 18, 2017, 7:21 p.m. I will write a review of your new book on LinkedIn. on Oct. 18, 2017, 7:25 p.m.
on Oct. 18, 2017, 7:26 p.m.
on Oct. 18, 2017, 7:27 p.m. Looking forward to being Coached. on Oct. 18, 2017, 7:34 p.m.
Mike, I am working on it - stay tuned! Thanks Bonnie - I look forward to working with you! on Oct. 18, 2017, 8:04 p.m. I am thrilled to learn more of Neal's wisdom! on Oct. 18, 2017, 9:01 p.m.
on Oct. 18, 2017, 9:11 p.m.
Can't wait to read your new book, Neal. on Oct. 18, 2017, 9:15 p.m. Looking forward to reading your latest book, Neal! Congratulations. on Oct. 19, 2017, 12:23 a.m. Looking forward to Neal Schaffer's new book "The Business of Influence" coming soon. on Oct. 19, 2017, 2:59 a.m.
on Oct. 19, 2017, 7:55 a.m. Thank you all for your continued support Annie, Jennifer, and Jo! And, you, too, of course, Lee! on Oct. 19, 2017, 2:34 p.m. Thrilled to support this initiative. Maximize Your Social is one of the smartest books on social strategy I've read. Thanks for all of your support over the years- can't wait to read this! on Oct. 19, 2017, 4:09 p.m.
on Oct. 19, 2017, 8:50 p.m. I am so excited for this and can't wait to get my copy! Thanks Neal! on Oct. 19, 2017, 11:26 p.m. THANK YOU VICTORIA!!! So awesome seeing you yesterday and getting to spend some QUALITY TIME together! on Oct. 20, 2017, 4:24 p.m.
Good luck with your book project, Neal, looking forward to reading it! on Nov. 3, 2017, 8:41 p.m.
on Nov. 3, 2017, 9:14 p.m. Thank you Niklas and Jon! on Nov. 6, 2017, 5:52 p.m.
Great job Neal, looking forward to read it. Keep shinning and influencing! on Nov. 6, 2017, 10:51 p.m.
on Nov. 9, 2017, 10:41 p.m.
Congrats on the new book, Neal! on Nov. 9, 2017, 10:42 p.m.
on Nov. 10, 2017, 2:19 a.m. I am looking forward to your book. Are thete any good Quotes in it? on Nov. 10, 2017, 5:52 a.m. Thanks Darrell! What sorts of quotes are you looking for? on Nov. 10, 2017, 8:47 a.m.
on Nov. 10, 2017, 1:12 p.m.
Good luck with the new book! I'm curious about it! on Nov. 10, 2017, 6:19 p.m.
Neal provides cutting-edge information for strategies on social media, influencer marketing, social media tools, and other hot topics of interest. He definitely has an international appeal, especially in Japan. on Nov. 12, 2017, 5:42 a.m. Thanks Richard, Fabiana, and Steve! on Nov. 14, 2017, 2:42 a.m.
on Nov. 14, 2017, 3:08 a.m.
on Nov. 14, 2017, 2:15 p.m.
Good luck Neal, may the influencers be with you! on Nov. 14, 2017, 5:25 p.m. Thank you so much Byron!!! on Nov. 14, 2017, 9:54 p.m.
on Nov. 16, 2017, 4:19 a.m. I so look forward to reading your new book! on Nov. 16, 2017, 4:20 a.m.
on Nov. 16, 2017, 8:20 a.m.
Hi Neal, looking forward to reading your book? on Nov. 16, 2017, 8:25 a.m.
on Nov. 17, 2017, 8:08 p.m.
on Nov. 17, 2017, 8:10 p.m.
on Nov. 26, 2017, 6:42 p.m.
As a tech Blogger/ YouTuber and social media strategist, I am excited to see this in action! on Nov. 27, 2017, 11:23 p.m. Thank you so much Liron!!! on Nov. 30, 2017, 6:54 a.m. Looking forward to the book and meeting you again my friend. on Dec. 4, 2017, 3:59 a.m. Thank you so much for your support Pasi!!! on Dec. 7, 2017, 5:36 p.m.
on Dec. 10, 2017, 4:19 a.m.
on Dec. 12, 2017, 3:36 p.m.
Can't wait to read the book, Neal! You're the man! on Dec. 13, 2017, 7:58 p.m. Thank you so much Ryon!!!! on Dec. 13, 2017, 8:31 p.m.
on Dec. 13, 2017, 8:41 p.m.
on Dec. 13, 2017, 10:42 p.m.
on Dec. 14, 2017, 12:27 a.m.
on Dec. 29, 2017, 9:17 a.m.
on Jan. 8, 2018, 3:06 p.m.
on Jan. 8, 2018, 6 p.m.
on Feb. 6, 2018, 7 a.m.
Look forward to getting the book!!! Thank You, Neal! on Feb. 6, 2018, 11:28 p.m.
on March 14, 2018, 6:13 a.m.
on March 14, 2018, 9:39 a.m. Thank you so much Karin!!! on April 7, 2018, 2:09 a.m.
on April 7, 2018, 3:52 a.m.
on May 11, 2018, 11:18 p.m. Sounds exciting, Neal...and I'm looking forward to becoming an Influencer! on May 12, 2018, 2:06 a.m. Thank you so much John - can't wait to start working together! on May 31, 2018, 12:57 p.m.
Great content. Godspeed getting this published! on June 1, 2018, 12:47 a.m. Thanks David! I am doing my best to get this published ASAP!!! on July 22, 2018, 7:17 p.m. I'm working on some local influencer campaigns in Sacramento right now - looking forward to all your advice! on July 24, 2018, 5:32 a.m.
That's awesome Julie! Thanks for your support! on July 26, 2018, 5:54 p.m.
on July 27, 2018, 1:53 a.m. Thank you so much Steve!!! on July 29, 2018, 11:20 p.m.
Bought it. I want to support YOU! on July 30, 2018, 12:05 a.m.
on Aug. 15, 2018, 12:06 p.m.
on Aug. 15, 2018, 6:47 p.m. Thank you so much for your support Ravneet!!! on Sept. 17, 2018, 3:45 p.m.
Can't wait to read your latest masterpiece, Neal! on Sept. 17, 2018, 7:31 p.m. Thank you Dan! And can't wait to get caught up this week!!! on Sept. 20, 2018, 7:36 a.m.
Go Neal! You're just 11 copies away from hitting 500! on Sept. 20, 2018, 7:52 p.m. Thank you so much Guy! I am honored!!! on Oct. 11, 2018, 8:18 p.m.
Really looking forward to reading this, Neal! :) I know you'll have amazing insights and stories to share. on Oct. 12, 2018, 12:30 a.m.
on Oct. 22, 2018, 6:35 a.m.
on Oct. 22, 2018, 9:39 p.m. Thank you so much Salvatore!!! on Oct. 24, 2018, 12:47 p.m.
on Oct. 24, 2018, 5:34 p.m. Thank you so much for your support Marcus! on Oct. 25, 2018, 12:39 p.m.
on Oct. 25, 2018, 5:19 p.m.
on Oct. 25, 2018, 8:44 p.m. Thank you so much Doug!!! on Oct. 31, 2018, 8:48 a.m.
Hi Neal! I am Kuen, marketing leader in Unilever who is communicating with you via Gmail. Keep in touch! Thanks! on Oct. 31, 2018, 7:17 p.m. Thank you Kuen! I look forward to meeting you and the Unilever team soon - will be in touch via Gmail! on Nov. 1, 2018, 2:24 p.m.
on Nov. 2, 2018, 1:47 a.m. Thank you so much Mark!!! on Nov. 9, 2018, 5:57 p.m.
Look forward to learning from you about influencer marketing as a startup with a strategy that includes working with experts like you! on Nov. 11, 2018, 10:56 a.m.
on Dec. 19, 2018, 9:13 p.m. I see your other books on Audible. Will this one be there in the near future? on Dec. 20, 2018, 6:15 a.m.
Hi David, this is completely up to the publisher. Once I have further word I will update everyone.